A major stumbling block to the use of estrogen replacement in women is the concern that it will increase the risk of breast cancer. It has been recommended that hormone replacement is withheld from women with increased risk of breast cancer based on personal or family history, lifestyle, increased breast density or fibrocystic breast disease, and that hormone replacement should be offered for the shortest possible time after menopause. This belief results in many women being deprived of the benefits of hormone replacement that may extend over years. Research on the incidence of breast cancer in estrogen replacement therapy offers uncertain conclusions. Some studies have implicated non-human identical estrogen as a cause of breast cancer. Other studies have demonstrated increased risk from progestins, or non-human identical progesterone, given with the estrogen. A large French study, released in 2007, demonstrated NO increase in breast cancer incidence when human-identical progesterone was given with estrogen. A very recent study from the Women’s Health Initiative revealed a REDUCED rate of breast cancer in women given estrogens for 5.9 years, with that lower rate persisting over more than 10 years of follow-up. There is no definitive conclusion about breast cancer risk and hormone replacement therapy. We believe that hormone replacement therapy may be carefully initiated in post-menopausal women, using low effective doses, and maintained indefinitely, provided the women are closely monitored. The benefits of hormone replacement are too substantial to be denied to the majority of women. The Women’s Health Initiative, a large study sponsored by the National Institutes of Health, came out with surprising results several years ago. Previously it had been believed that hormone replacement in post-menopausal women prevented osteoporosis, heart disease and dementia, and had no adverse effects. Doctors and women were disabused of that belief by statistics indicating an increased incidence of breast cancer, blood clots, heart attacks and strokes. The medical profession’s response was immediate, and overwhelmingly in the direction of discontinuing estrogen and progesterone replacement therapy. Women were left to their own resources, to suffer again the hormonal deprivation they had known before hormones were introduced. Another alternative was to start them on antidepressant medications or sedatives, as if they were mentally ill. These drugs reduced some symptoms but not others, and worsened sexual difficulties. The conclusions drawn, that all hormones were dangerous and should not be used except in extreme circumstances, were erroneous. Yet they are still held to this day by many physicians, who deny their female patients the benefits of hormones. The hormone studies used only oral formulations, now known to increase blood clotting factors and elevate the risk of phlebitis, heart attacks and strokes. Non-oral formulations do not have this effect. Further, the study utilized medroxyprogesterone, a synthetic formulation with a different chemical structure than bioidentical progesterone. It was, in fact, demonstrated that the increased risk of breast cancer occurred only in women taking estrogen plus medroxyprogesterone and not in those taking estrogen alone. Another study, performed in France, sheds further light on the question of breast cancer risk in female hormone users. Eighty thousand women were followed for an average of eight years. Women taking estrogen together with bioidentical progesterone had NO increase in breast cancer. Women taking estrogen alone had a 30% increase in breast cancer. Women taking estrogen with synthetic progesterone had a 70% INCREASE in breast cancer. Thus it was the synthetic progesterone, called a progestin, which was responsible for the increased incidence of breast cancer, while bioidentical progesterone was protective. As a result of this study, we always recommend that women take bioidentical progesterone with estrogen, even if they have had a hysterectomy, to protect against breast cancer. Also, we never employ artificial progestins. In the most recent follow-up study of women given estrogen replacement, 10,739 postmenopausal women aged 50-79 years old, with prior hysterectomy, were treated with conjugated equine estrogen for an average of 5.9 years, and followed for a total of 10.7 years. Compared with placebo, these women had a REDUCED incidence of invasive breast cancer, which persisted throughout the follow-up period. The lifetime of risk for female breast cancer in this country is one in seven. 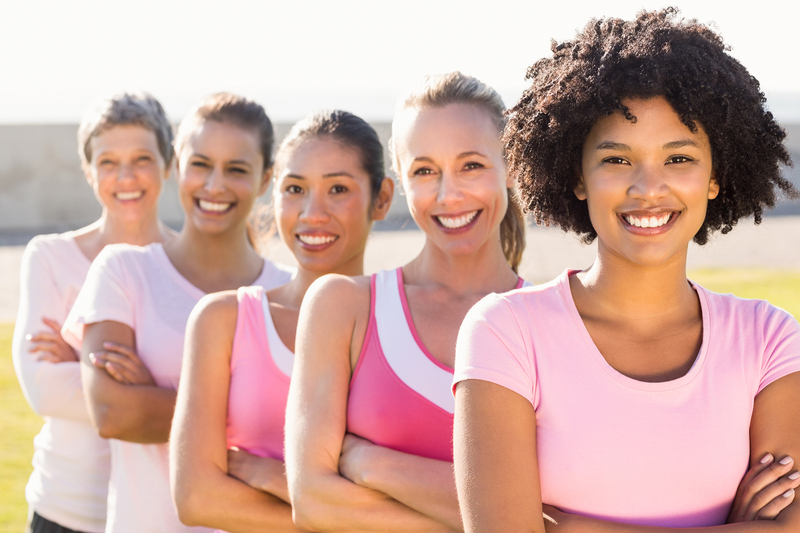 One of the major factors in developing breast cancer is advancing age. In other words, a ninety year-old woman, who has been depleted of estrogen for forty years, has four times the risk of breast cancer compared with a fifty year-old woman. Clearly, there are other factors involved in getting breast cancer than the level of estrogen in a woman’s body. Estrogen replacement therapy protects against colon cancer, the third major cause of cancer death in women, behind only lung and breast cancer. Repeated studies have demonstrated that estrogen replacement therapy reduces the risk of colon cancer by 30-50%. Several nutritional factors are employed as well. Studies have demonstrated that soy products reduce breast cancer incidence. Fermented soy may be most effective. Two supplements are also started. Calcium D glucarate blocks the reabsorption of estrogen metabolites from the gastrointestinal tract. Indole 3 carbinol and di-indolyl methane (I3C/DIM) alter estrogen metabolism away from the pro-carcinogenic 16-hydroxyestrone, and in the direction of protective 2-hydroxyestrone. We carry these products in our office. How long may a woman continue to use hormones? This depends on her situation, and the reasons she has decided to take them. When hormones are discontinued, the benefits for bone density, skin quality, libido, vaginal health, and other effects will be lost. The decision to maintain hormones should be individualized. We have some women taking hormones in their 80s and 90s. Generally, the dose of hormones declines as the woman gets older and more sensitive to their effects.